On the medical front, Ohio’s program is under scrutiny in court, as a judge in the Franklin County Court of Common Pleas is determining whether or not to delay licensing for cultivators, and potentially the launch of the program. 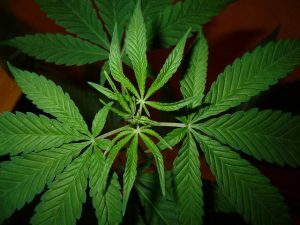 According to Cleveland.com, one grower applied for a license and sued the Ohio Department of Commerce after it was denied, claiming there was no appeals process as promised. Reported errors in the scoring of applicants and complaints about officials not following their own rules in the selection process have led to other lawsuits. With only 12 initial promised licenses for large-scale cultivators, the spots are highly coveted.The state is already behind its goal of having the program fully functional by Sept. 8, 2018. Officials are still moving forward, however, with the state medical board selecting the first 36 medical practitioners who will be certified to recommend cannabis to patients. Those who are chosen must complete a free two-hour course on approved medical conditions, how to treat them with cannabis, and drug interactions, the Associated Press reported. Few snags are anticipated in this part of preparations. In spite of, or perhaps because of, the floundering medical marijuana program, talk of recreational marijuana is back in the forefront in Ohio. Ohio Attorney General certified language for a petition for a measure that would amend the state constitution to make recreational cannabis legal. This amendment does not include a limit on grow sites like the measure that failed in 2015, but it does have provisions for personal plants in private spaces and no limits on how much can be grown or purchased. On the other hand, it also gives power to landlords and employers to have a say in whether you can grow or use. Next steps include a trip to the Ohio Ballot Board, seeking almost 306,000 signatures, and finally (we hope) inclusion on a ballot for voters to decide. Deadline to be on this November’s ballot is July 4, so advocates think the 2019 ballot is a more likely goal. It’s easy to forget looking around California how rocky the path to marijuana legalization has been in other states. We have experienced our own growing pains, for sure, but the more than 20-year gap between medical marijuana legalization and the implementation of recreational cannabis laws has given us a long time to learn and grow. We still have some mountains to climb, but with a solid foundation, the will of the people, and the experience of trusted legal counsel like our Los Angeles marijuana regulations lawyers, we can overcome obstacles that arise along the way.